In some ways it has been a banner year for championships and champions in WWE. There is finally one unified WWE World Heavyweight Championship, love her or hate her the most over diva in WWE holds the WWE Divas Championship and even people who WWE arguably should have given up on long ago like Curtis Axel were elevated by holding gold. WWE had at least some justification for all it’s top champions with fairly lengthy title runs. For instance, it can be argued that putting the belt on The Rock was just a desperate attempt for mainstream publicity, which has been used as an excuse for some horrendous title runs in the past. However, it is tough to argue that WWE fans weren’t a little intrigued by the idea of The Rock holding the WWE Championship one last time. Any company as big as WWE though is bound to make mistakes. Heck, even some of the booking of their top title caused some real head scratching. So let’s commence with this annual tradition and start counting down the worst WWE title reigns of 2013! I kind of hate to start off any negative list with Dean Ambrose. As I’ve written before Dean Ambrose worked his way up on the independent scene and is the kind of guy WWE’s future will (or at least should) be made of. Yet, for as good as Ambrose is on the mic and in the ring, his run with the WWE United States Championship has been underwhelming. In fact it has gotten to the point where Ambrose’s gold comes off more as an accessory than a title to be defended. The reign began at WWE Extreme Rules 2013 when he was given less than seven minutes to defeat Kofi Kingston. The lack of time given for this match should have been a red flag as to how Ambrose’s title run would go. More recently, Ambrose has been defended the title…on the house show scene. Although Ambrose has faced challengers like Dolph Ziggler, Damien Sandow and Kofi Kingston fairly recently, with all these matches having happened on house shows most fans have no idea about them. As far as casual WWE fans know the last time Ambrose actually defended the championship was against Big E Langston in October! Again, Ambrose is certainly a championship worthy talent, but if WWE was hellbent on giving him a championship reign this early in his WWE tenure they should have used the Freebird Rule when The Shield won the WWE Tag Team Championship. 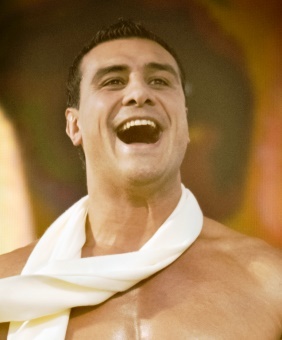 Alberto Del Rio is the first double whammy on this list because he had not one, but two bad title reigns with the World Heavyweight Championship. First, WWE made the terrible mistake of promoting Del Rio as a face champion when the guy is a natural heel (though the biggest reaction he has gotten out of fans lately is an apathetic sigh). Next, they put him in a program with people fans could actually cheer Dolph Ziggler. Wait, no that’s not what happened. Next, they put Del Rio in feuds with The Big Show (logical I guess, but yawn) and Jack Swagger (double yawn). WWE then had Del Rio wrestle Ziggler, had Ziggler take Del Rio’s title away and then had Del Rio take the title back a bit over two months later. Del Rio’s second run played to his strengths as he was then a heel, but somehow managed to be even worse than his first run of the year. Any interest in Del Rio was dead by that point and the World Heavyweight Championship looked more like a prop than even Ambrose’s United States Championship. How devalued the title became during Del Rio’s reign may be a big reason (if not the main reason) WWE only has the WWE World Heavyweight Championship today. Give Kofi Kingston a midcard title? Sounds like a great idea! If it was 2008 that is. Kofi Kingston winning either the WWE Intercontinental Championship or in this case the WWE United States Championship just emphasizes how much of a glass ceiling there is when it comes to Kofi at this point. Rumors are unconfirmed that Tito Santana, Scott Hall and John Morrison get together now and then just to laugh their asses off at Kingston. True, in an business as rough as the wrestling industry guys and girls would kill to have a midcard title reign in WWE. Yet, to those same guys and girls Kofi stands as a symbol saying, “Yes, your dreams can come true. Up to a point…” Making matters worse Kingston ended a worthwhile reign by Antonio Cesaro on a random episode of WWE Monday Night Raw before dropping it a hair over a month later to start the aforementioned Dean Ambrose reign. The Miz hasn’t quite become the symbol of unrealized dreams that Kofi Kingston has. Still, arguably not since Pedro Morales has there been a guy booked post title run in such a way that one can’t help, but question, “Really? That guy was a top champion? Really?” After defending the WWE Championship in the main event of WWE Wrestlemania XXVII just two years ago The Miz was left off of the main card of WWE Wrestlemania XXIX and instead defeated Wade Barrett in the event’s pre-show to win the WWE Intercontinental Championship. This title run was bad mostly for two reasons. First, it took away from Barrett’s momentum, which at least was helping hm a little in becoming thought of as more than that guy who used to be the leader of Nexus. Second, the title reign did absolutely nothing for The Miz and Miz dropped it back to Barrett the next night on WWE Monday Night Raw. It goes without saying that throughout much, if not the entirety of 2013, Daniel Bryan was the most over performer in WWE. As such it stands to reason that he would be rewarded with the WWE Championship. What doesn’t stand to reason is how completely botched Bryan’s reigns, if you can call them that, were. First, Bryan won the WWE Championship in a real barn burner with John Cena at WWE SummerSlam 2013. Moments later HHH kicked Bryan in the gut, stuck Bryan’s head between his legs and planted him on the mat. Orton then came in to cash in the Money in the Bank briefcase and it was all over. This wouldn’t have been that bad as at that point Orton really needed to be reestablished as a main event player and could make a great enemy for Bryan. However, Orton never got his comeuppance even though Bryan defeated him at WWE Night of Champions 2013. This run ended the next night when HHH ordered the championship to be vacated on WWE Monday Night Raw. This led fans to demand refunds for the pay-per-view and the fans actually got them for…well more or less the first time ever due to such circumstances. Some more optimistic fans may hold out hope for Bryan to give Orton his comeuppance after all in 2014, but since Bryan has been shuffled down the card lately to feud with The Wyatt Family, us realists aren’t holding our breaths. What about Rey’s jobberific World Title run? Thank you for commenting! This list is limited to just 2013 though whereas I believe the reign you’re writing about happened in 2006 (or maybe you mean his also unspectacular 2010 reign).